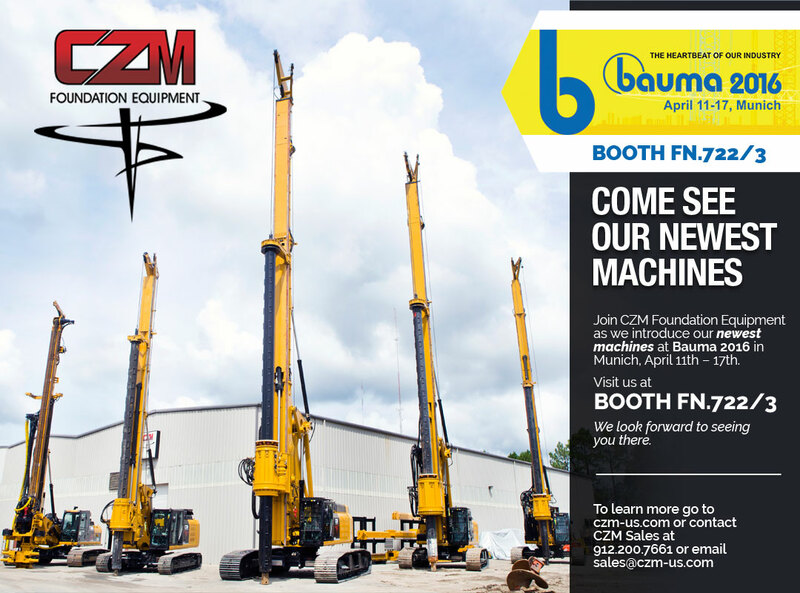 Join CZM Foundation Equipment as we introduce our newest machines at Bauma 2016, April 11-17 in Munich, German. We look forward to seeing you at Booth FN.722/3. CLICK HERE For more information.